The tournament schedule(s) will be structured so the event has qualifying matches beginning by 10:00am and be concluded by approximately 5:00pm in order for teams to participate in the optional Padres game. The first 36 teams to submit the form showing their interest will be accepted. Once you have been accepted, your team will Register Online from this site by clicking on Register Online below or at the top of the page to register and pay the entry fee. Once confirmed to participate, please Register Online! Open to all First Tech Challenge Teams from all 3 California, AZ/NM and the Nevada FTC regions. The first 36 teams submitting the interest form will be accepted in this first year. Maximum team size, rules and game structure will match FIRST FTC's Game Manual 1 & 2 for the 2019 season, similar to a regional or league championship tournament. Each team will be required to provide two volunteers to help at the event. 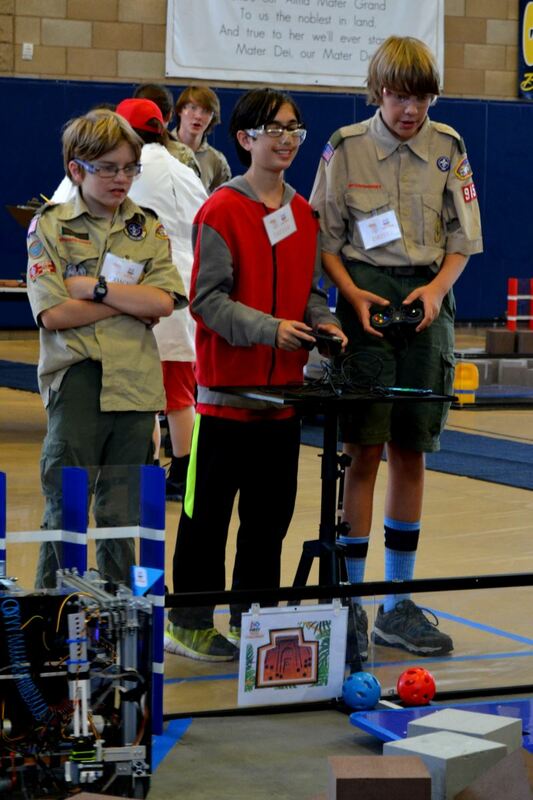 Some options are: robot inspection, referee, queuer, scorekeeper, field reset, team registration, and much more! Individual Gold, Silver, & Bronze medals will be awarded to the top 3 teams in each division.